When my grandparents sold the house they had lived in for more than 40 years in Washington state and moved to Utah, it was because they wanted to be closer to more of their family. Three of their four children (and their spouses), 14 of their 16 grandchildren (and any of their spouses), and most of their great-grandchildren lived there. Any of their surviving siblings also live in Utah or Nevada. So, it made sense to finally make it back down to Utah. First, in the summer of 2013, they requested that as many of their progeny as possible could make the trip to visit their home in Washington one more time. All their kids and most of the next two generations were able to go, including us. I really enjoyed showing Blake around their little town and the places I'd loved on the occasions I had been able to visit. While it was sad for them to say goodbye to Washington themselves, the move to Utah was a good one. Grandpa especially seemed to find a little more energy when he was around his great-grandchildren. My parents finally finished turning my sister's room into the guest room especially so that when my grandparents made the two hour trek south to visit, they could stay overnight and not drive back in the dark. My parents also started arranging monthly double dates with my grandparents, often seasonal things, so they could spend more quality time together, aside from all the other visits and frequent family gatherings. 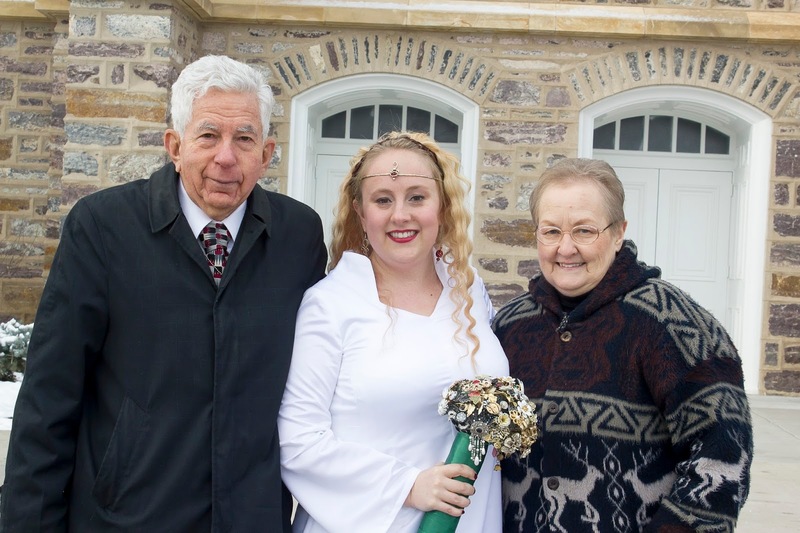 Everyone loved having my grandparents so close - even me. We got to see them when we were in Utah ourselves, and it's a nice treat to have a surprise grandparent around when I FaceTime or call my family. Sadly, in February of this year, after 81 years on this earthly home, Heavenly Father needed my Grandpa in his heavenly home even more. From the time we realized it was time for him to go to his actually passing was mercifully short, but we had enough time to say goodbye. When I FaceTimed with him the last time, he couldn't vocally respond, but it was evident he knew it was me and that I loved him. He passed quietly at home, with my grandmother in the room, and my sister and her family and my parents down the hall. Gratefully, I was able to take bereavement leave and be in Utah for the funeral. As these things usually are, it was a happy/sad occasion, and incredibly beautiful. It was fun to share stories of Grandpa's life and touching to share in some the mercies and experiences surrounding his passing. I so enjoyed singing, crying, and laughing with my family. I was also able to be present for the final steps in dressing his body, which I didn't expect to be part of. 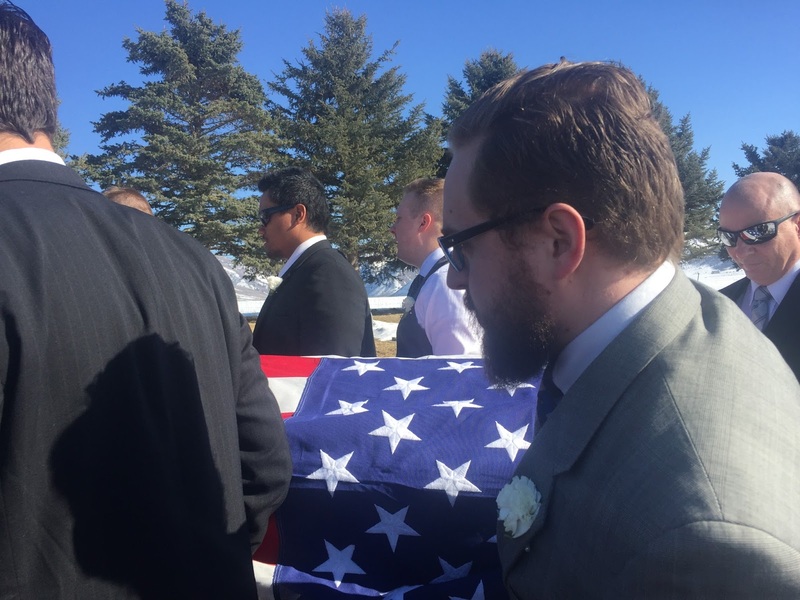 As with many faiths, LDS people have a very specific way of preparing the body for burial and it was an honor to be there for it. Grandpa served two years in the Army, and received a military burial. 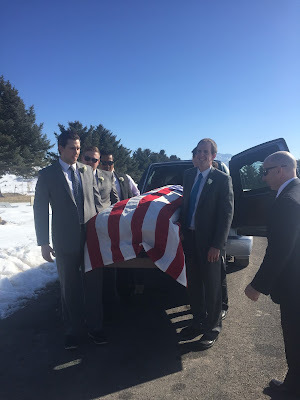 His grandsons and grandsons-in-law served as the pall bearers and the three that were unable to attend were all for military reasons (two were actively serving and Blake was in final preparations to report). I rode next to my grandmother in the car to and from the burial site, another honor for me. As much as I miss Grandpa, even more than my paternal grandparents I wasn't as close with, I truly believe in life after this one and that I will see him again. A couple of days ago, I was walking from the train station to main base and had the thought "Grandpa didn't live long enough to know we were moving to Japan." It was immediately followed by a second thought, "He knows." Whether it was me or the Spirit who thought that, it doesn't matter. Grandpa knows and loves me and is proud of both Blake and me. I was his #1 grandkid. He told me so frequently, because I'm the oldest, and I could pretend meant that I was also his favorite. 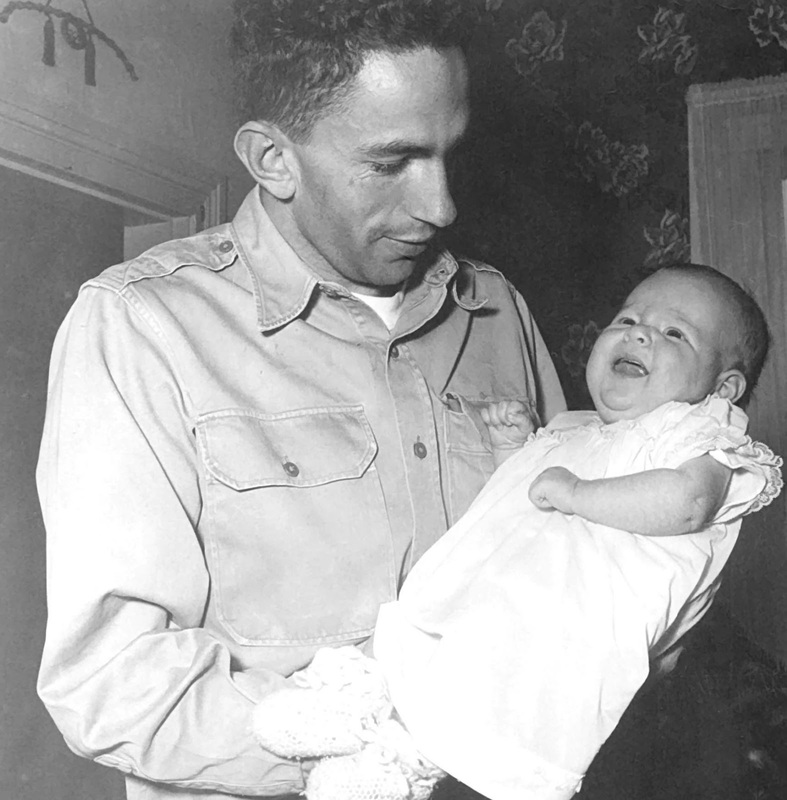 He loved my grandma very much, and served as a positive father figure to my own father. He is still a wonderful man and I look forward to seeing him again someday. He was one of the best, and I'm so glad I got to know him! I'm so glad you did too! My Grandpa Giles' funeral, the last of my grandparents, was also a military funeral. I did great throughout the viewing and service, but when they did the 21 gun salute was when I couldn't stop the tears. I'm grateful Brett got to meet my Grandpa Giles and I'm looking forward to introducing him to the rest of my grandparents some day.